American Routes: Songs and Stories From the Road, is a two CD collection of favorite interviews and stories. From mambo kings and country sweethearts to cool pianomen and sidewalk steppers, you’ll find the iconic mix of voices and music you hear each week on the radio program. East Coast-raised and California-inspired tunesmiths Mike Stoller and the late Jerry Leiber reminisce about their years as songwriters for Elvis, the Coasters and many others. Dolly Parton shares her appreciation of an upbringing in the mountains of Tennessee while Tom Waits talks about various inspirations, including his kids’ toys. 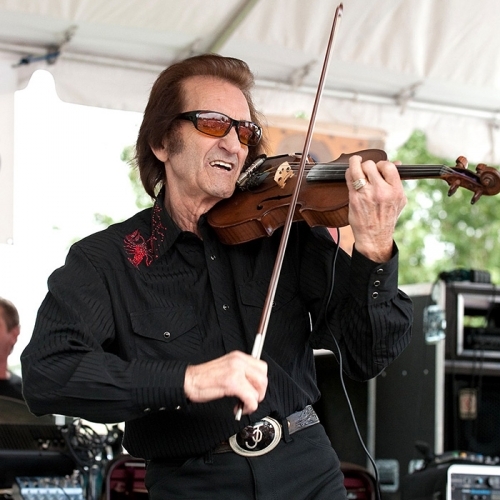 The Cajun band Feufollet explains why Cajun music was cool despite what their friends thought. Many of the interviews on Songs and Stories capture the voices of beloved musicians who have passed on, including Jerry Garcia, Rufus Thomas, Tito Puente and Nina Simone. Join us as we visit the Antique Radio Museum in St. Louis. Spend a day at historically black Sea Breeze, North Carolina, to learn about the origins of beach music. Then, we’ll jump with the Treme Sidewalk Steppers and Rebirth Brass Band for an early post-Katrina second line. American Routes began in 1998 broadcasting on 7 stations and is now heard by up to a million listeners on 300 stations nationwide and online. With hundreds of interviews and programs in the archive, it was a challenge to choose the selections for this collection. As we look down the road toward 20 years on-air in 2018, we hope you’ll enjoy these classic conversations. For more information on American Routes: Songs and Stories From the Road, click here!